Delaware’s Lt. 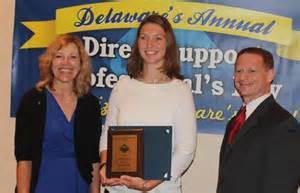 Governor Matthew Denn has only further muddied the political waters for the election cycle of 2014 and also for 2016 here in Delaware. Just last Thursday Delaware’s current Attorney General Beau Biden announced that he would not be seeking another term as the state’s AG in 2014, but he would be seeking the office of governor in 2016. Many political insiders have been questioning the reasoning behind such a move, most coming to the conclusion that it has a lot to do with Mr. Biden’s health concerning the recent removal of a “small lesion” from his brain last August. Prior to last weeks announcement from Mr. Biden, these same political insiders would have told you that Lt. Gov. Matt Denn was the front-runner for the Democrat nomination in 2016, after all he has been patiently waiting “his turn” behind current Democrat Governor Jack Markell. Now in what is a clear example of a career politician’s calculation, Matt Denn has announced that he will be seeking the office of the Attorney General in 2014, which if he were to win would mean abandoning the last two years of his Lt. Governor’s term of office. I will address the complications that this may lead to later in this post. So has Matt Denn suddenly had a revelation about his desire to run for the office of the AG? Or is this just another career politician making a political calculation? In my view it is the latter. Let’s look at this. Matt Denn was the front-runner for the Democrat nomination for governor in 2016, that is until Delaware’s golden boy Democrat, Beau Biden, announced his intentions. Now Matt Denn suddenly feels the need to be AG? This has a couple of benefits for Denn. First of all if he runs for AG and losses he is still Lt. Governor until 2016. If he wins the AG office he stays in the political spot light until the next door opens. But wait, there could be even more curveballs here. If he loses the AG race he can still primary Biden in 2016, and renege on any backroom deals that have been made. But wait, if he wins the AG race, but Beau Biden’s health fails even more, say in the next year, Matt Denn could then run for governor after all. Of course these moves would be very dangerous for a career politician since it would expose to what lengths Denn would go to, to remain in office at any cost. Now another question that has arisen is how do we replace a Lt. Governor that resigns, if Matt Denn were to win the AG race? Some have said that the Delaware state constitution is silent on this matter, however in my reading of the document I believe while it is not spelled out specifically for the office of the Lt. Governor, I do believe that the order of succession is clear, if we read the document as a whole, and not simply look for one specific Article or section to address the issue. A Lieutenant-Governor shall be chosen at the same time, in the same manner, for the same term, and subject to the same provisions as the Governor; he or she shall possess the same qualifications of eligibility for office as the Governor; he or she shall be President of the Senate, but shall have no vote unless the Senate be equally divided. So, my understanding is that if the Lt. Governor is unable to finish his term, then the same rules apply as do for the governor. Or as this section states, “subject to the same provisions as the Governor”. So what are those provisions? In case the person elected Governor shall die or become disqualified before the commencement of his or her term of office, or shall refuse to take the same, or in case of the removal of the Governor from office, or of his or her death, resignation, or inability to discharge the powers and duties of the said office, the same shall devolve on the Lieutenant-Governor; and in case of removal, death, resignation, or inability of both the Governor and Lieutenant-Governor, the Secretary of State, or if there be none, or in case of his or her removal, death, resignation, or inability, then the Attorney-General, or if there be none, or in case of his or her removal, death, resignation, or inability, then the President pro tempore of the Senate or if there be none, or in case of his or her removal, death, resignation, or inability, then the Speaker of the House of Representatives shall act as Governor until the disability of the Governor or Lieutenant-Governor is removed, or a Governor shall be duly elected and qualified. Whenever the powers and duties of the office of Governor shall devolve upon the Lieutenant-Governor, Secretary of State, or Attorney-General, his or her office shall become vacant; and whenever the powers and duties of the office of Governor shall devolve upon the President pro tempore of the Senate, or the Speaker of the House of Representatives, his or her seat as a member of the General Assembly shall become vacant; and any such vacancy shall be filled as directed by this Constitution; provided, however, that such vacancy shall not be created in case either of the said persons shall be acting as Governor during a temporary disability of the Governor. So as you can see the line of succession is clearly laid out in this section, and since the previous section states that the Lt. Governor is “subject to the same provisions as the governor”, it is clear in my view that the Secretary of State would move to the position of Lt. Governor, if Matt Denn were to win the office of the AG, and thus be forced to resign. Our current Secretary of State is Jeffery W. Bullock. And since the position of Secretary of state is an appointed position, Gov. Markell would then appoint a new Secretary of state. Not complicated after all, though some out there will attempt to make it so for political reasons. 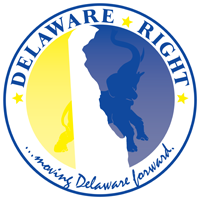 Add to that the fact that if an elected AG resigns, the Governor can appoint someone to finish out the current term, and this becomes a political shell game, and while this type of politics is not limited to just Democrats, here in Delaware they have taken it to a high art form. 11 Comments on "Matt Denn Makes His Move"
Frank, I’m no legal scholar but I don’t think “same provisions as the Governor” mean what you think in this case. I think it means the same rules and guidelines to follow (parameters of the office). Not the line of succession. The line of succession starts when the Governor has to leave office. The Governor is staying put. He or she shall have power to fill all vacancies that may happen in elective offices, except in the offices of Lieutenant-Governor and members of the General Assembly, by granting Commissions which shall expire when their successors shall be duly qualified. So if sec. 19 states that the Lt. Governor is subject to all the same provisions as the Governor, then the next section, which is a clause in a legal instrument, sets forth the line of succession, my view is that it relates to both offices. It is only a matter of where the line begins, either at the governor, or the lt. governor. I t starts with the Governor. It’s only put in place when the Governor can’t fulfill his duties. The General Assembly could amend the Constitution and have a way to elect/appoint an Lt. Gov by this January just 2 months after the general election. It starts with the Governor. It’s only put in place when the Governor can’t fulfill his duties. The General Assembly could amend the Constitution and have a way to elect/appoint an Lt. Gov by this January just 2 months after the general election. Did not mean to duplicate my comment but there is something wrong and slow with your sight comments. You can delete this and one of my duplicate comments if you want. Anonymous, I believe it is clear that Article III sections 19 and 20 define how succession is to be handled. Some will attempt to make this more complicated than need be for political reasons. The rules of succession will only apply if he wins. The objective needs to be making sure that he doesn’t. Given Biden’s abysmal record fighting violent crime it may be time for a drastic change in Dover. in Wilmington platform. There certainly is enough data to wage such a campaign. Denn doesn’t seem like the type who would take this approach. The rules of succession does NOT apply if he wins. It only is put in motion when the Governor can’t fulfill his duties. Anonymous, you are looking at the constitution only in sections, you have to read it as a complete document, Article III sec. 19 has bearing on Article II sec 20. You are trying to compartmentalize each section as if they are stand alone documents, they are not, they are part of a whole and must be read and interpreted as such. I live at Ingleside, 10th and Franklin St., Wilm City. I moved from Korman Brandywine Hundred on Foulk Rd, 1 1/2 years ago. The WPD has told me not to walk south on Harrison Street….. drugs. My friend, Brittany found a bullet in the street near West Side Health, 4th and Scott. What has Joe Biden’s son done for the City of Wilmington ??? ?